GroupM and our agencies are proud to produce an extensive list of publications, POVs and insights on a range of timely topics impacting our industry. Please join us in our summary of the biggest press releases and achievements every quarter. In our Q1 2019 news recap issue, we highlight Brian Wieser’s appointment as Global President of Business Intelligence and the launch of his weekly intelligence report. We highlighted the achievements of gender diversity across the group for International Woman’s Day, as well as put the spotlight on the experiences of those working with autism for Autism Awareness Week. Finally, we released four new publications and our experts appeared on a host of media forums to share their POVs on topics from brand safety to the future of news to the impact of OTT on video. 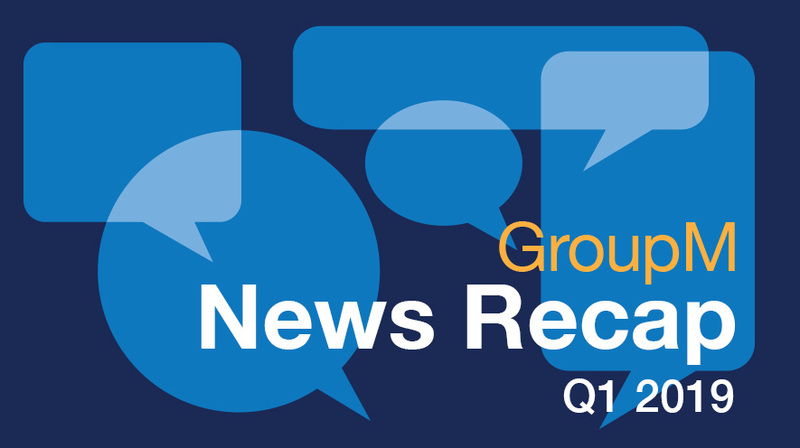 Access GroupM News Recap of Q1 2019 Here.